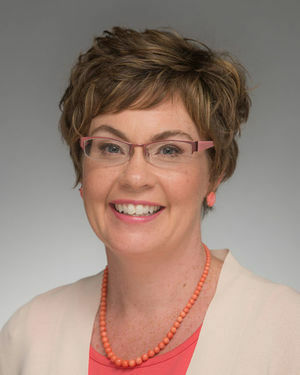 She will be the seventh Notre Dame historian to lead the national organization, which is devoted to promoting “a deeper and more widespread knowledge of the history of the Catholic Church broadly considered … and the advancement of historical scholarship in all fields among its members.” Past presidents from Notre Dame include Thomas F.X. Noble in 2012 and Jay P. Dolan in 1995. The organization’s current president, Michigan State University history professor Liam Brockey, is a 1994 graduate of Notre Dame. During Cummings’ presidential year in 2017, she hopes to encourage historians to use the attention being given the Catholic faith as a chance to underscore the deep and rich history of the Church in America. That includes reminding people that the religious prejudice that affected U.S. Catholics is strikingly similar to the anti-Muslim sentiment and rhetoric in the United States and around the world today. “For most of this nation’s history, many Americans believed that Catholics’ religious faith prevented them from being good citizens,” Cummings said. “That’s important for Catholics to know, especially given the increase in anti-Muslim sentiment. Cummings has emerged as a public expert on matters related to the Catholic Church. She has appeared dozens of times in major national media outlets, including The New York Times, the Washington Post and MSNBC. She was part of NBC’s live coverage during the papal conclave in 2013, the canonization of Pope John Paul II and Pope John XXII in 2014, and Pope Francis’ U.S. visit in September. Cummings hopes that the attention the Church is getting can educate the broader public about Catholicism, which she said has often been misunderstood. That interest, however, has been fueled by the idea that Pope Francis is poised to make changes to the Church that will bring it more in line with the modern American perspective. But cultural developments often happen faster than religious ones. Cummings’ own research has focused on the role of American women in the Church, an area she found wasn’t getting much attention when she was a student. “In my Catholic history classes, there weren’t any women. In my women’s history classes, there weren’t any Catholics,” Cummings said. But Catholic women have been vital to the growth of the Church in the U.S.—and made strides that many other women couldn’t in the 19th and early 20th centuries. Cummings’ first book, New Women of the Old Faith: Gender and American Catholicism in the Progressive Era, focused on four Catholic women who helped redefine gender roles the place of Catholicism in American culture. “Catholic women have been leaders in the Church for a long time. Women formed and ran schools, hospitals, orphanages,” Cummings said. “They were functioning like what we would know as CEOs in the 19th century, when women couldn’t hold those positions or even vote. “They helped build the nation as much as they helped build the Church in this country,” she said. Her second book, Holy Heroes, Nation Saints: Catholics and Canonization in the United States, supported by a National Endowment for the Humanities fellowship, examines causes for canonization sent from the United States between the late 19th century and the present. The book considers both successful and unsuccessful causes (to date, only 12 people from the U.S. or territory that later became a part of it have become canonized saints) as well as the people who have promoted them. It’s set to be published in 2017. Originally published by Brian Wallheimer at al.nd.edu on January 26, 2016.